Will the Theme Updater app carry over my custom page templates and snippets? Can I preview my updated theme before publishing it live? How do I publish my updated theme? Why is my theme showing up as unregistered? Does the Theme Updater App overwrite my current theme? Can I use the Theme Updater for an older/pre-section based theme? What happens to my theme during an update? How does the Theme Updater App work? Out of the Sandbox's Shopify Theme Updater app is an exclusive tool developed and maintained by Out of the Sandbox. Click here to view FAQs about our Theme Updater App Pro-Plan. How do I install the Theme Updater App from Out of the Sandbox? To get started, visit the app page here. Click the “Add app” button and enter your store URL and login, if necessary. On the next screen, grant the app permission and you should be directed to the app. How do I check if there are updates available? Once you’ve installed the new Shopify Theme Updater, simply access the app from under the “Apps” menu. Click the “Theme Updater by Out of the Sandbox” link to open the updater. The app will then check all of your installed themes (this may take a few moments). If you see a yellow bar on a listed theme, this means there’s an update available. You can also click the “changelog” link here to see what features have been added — which can be helpful in determining whether or not you want to proceed with the upgrade. How do I upgrade using the app? Simply click “Update theme” under any theme with a yellow bar and the newest version of that theme will be installed as a separate and unpublished theme on your store. Does this overwrite my current theme? Nope! The current version of your theme will remain unaltered during an updating process. Instead, the app will create a new copy of your theme with today’s date which will get added to your 'More Themes' panel in an unpublished state. You can then publish this when you’re ready. Is there anything I should check before publishing the updated theme? Yes! We always recommend previewing the newest theme version in your site and testing that everything still works. Also note that if any new features were added between the older and current version of the theme, these will need to be set up on the theme copy but will carry over on future updates. How do I preview a theme without publishing it? To preview the theme without publishing it, simply go to Sales Channels > Online Store > Themes and click the “Actions” icon next to the theme you’d like to preview. How do I publish the new version once I’m happy with it? Go to Sales Channels > Online Store > Themes and click 'Actions' > 'Publish'. Oops, I realized after I published that there’s an issue. Can I revert back? Yes you can! Your theme that was previously live will then sit on your 'More Themes' panel. Simply go to Sales Channels > Online Store > Themes and click 'Actions' > 'Publish' on any previous version. We have a detailed article on theme registration and how to register here. For Out of the Sandbox themes: if you are upgrading from Parallax 3.0+, Retina 4.0+, Mobilia 5.0+, Responsive 6.0+, Turbo 2.0+, or Artisan 1.0+, basic custom code may be able to get carried over to the updated theme. For Pixel Union themes: if you are upgrading from Atlantic 10.0+, Editions 8.0+, Empire 4.4+, Grid 4.4.3+, Handy 1.0+, Launch 6.0+, Pacific 4.0+, Reach 1.0+, Startup 7.0+, and Vogue 1.0+, basic custom code may be able to get carried over to the updated theme. If the app finds any custom code or modifications to the original files, it will attempt to replicate them in your new updated version. If the customizations are complex and the app is unable to carry them over fully intact, it will identify the files in question and notify you, so that you have the opportunity to apply your past customizations to the updated templates manually. For Out of the Sandbox themes: unfortunately if you are using a version older than Parallax 3.0+, Retina 4.0+, Mobilia 5.0+, Responsive 6.0+ or Turbo 2.0+, custom code will not be carried over. For Pixel Union themes: unfortunately if you are using a version older than Atlantic 10.0+, Editions 8.0+, Empire 4.4+, Grid 4.4.3+, Handy 1.0+, Launch 6.0+, Pacific 4.0+, Reach 1.0+, Startup 7.0+ custom code will not be carried over. The higher the number of customizations you’ve added to your theme, the longer the app will take to process your updates. Themes with high customization counts are also more likely to fail or have blocks of code that cannot be carried over automatically. Complex code customizations may be unable to be transferred over automatically. The theme updater app won’t be able to address conflicts with the default theme code and your custom code in current or future theme versions. 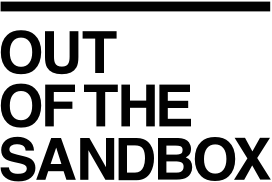 The Out of the Sandbox team generally doesn’t troubleshoot someone else’s custom code; if it’s causing issues our advice will be to remove it, so best to keep it to a minimum and be prepared to work only with your own developer to address specific issues that come up with customizations you’ve made. Finally, please note that we never guarantee that the app will be able to carry over all customizations. We always recommend customizing theme code as little as possible. If you or your developer have made extensive or complex customizations directly to the theme files then these customizations will need to be manually transferred to the updated theme. Will any custom code added by apps carry over? For Out of the Sandbox themes: if you are upgrading from Parallax 3.0+, Retina 4.0+, Mobilia 5.0+, Responsive 6.0+, Turbo 2.0+, or Artisan 1.0+ custom code from apps may be able to get carried over to the updated theme. If you are upgrading to a version prior to Parallax 3.0+, Retina 4.0+, Mobilia 5.0+, Responsive 6.0+ or Turbo 2.0, you may need to reinstall apps after updating your theme, but this will depend on the app in question. For more support with apps and upgrading, contact the app developer. Be sure to test the new version of the theme in preview mode to see if your apps still work. For Pixel Union themes: if you are upgrading from Atlantic 10.0+, Editions 8.0+, Empire 4.4+, Grid 4.4.3+, Handy 1.0+, Launch 6.0+, Pacific 4.0+, Reach 1.0+, Startup 7.0+, custom code from apps may be able to get carried over to the updated theme. If you are upgrading to a version prior to Atlantic 10.0+, Editions 8.0+, Empire 4.4+, Grid 4.4.3+, Handy 1.0+, Launch 6.0+, Pacific 4.0+, Reach 1.0+, Startup 7.0+, you may need to reinstall apps after updating your theme, but this will depend on the app in question. For more support with apps and upgrading, contact the app developer. Be sure to test the new version of the theme in preview mode to see if your apps still work. Will my custom page templates and snippets carry over? For Out of the Sandbox themes: if you are upgrading from Parallax 3.0+, Retina 4.0+, Mobilia 5.0+, Responsive 6.0+, Turbo 2.0+, or Artisan 1.0+ custom page templates will be carried over however, they are carried over identically and will not contain any potential updates included in the default/original template. For Pixel Union themes: if you are upgrading from Atlantic 10.0+, Editions 8.0+, Empire 4.4+, Grid 4.4.3+, Handy 1.0+, Launch 6.0+, Pacific 4.0+, Reach 1.0+, Startup 7.0+, and Vogue 1.0+ custom page templates will be carried over however, they are carried over identically and will not contain any potential updates included in the default/original template. Can I use this app to change from one theme to another? At this time, the app only supports going from one version of any Out of the Sandbox or Pixel Union theme to the newest version of that SAME theme. It’s not possible to upgrade from one theme to another, unfortunately. I have a really old version of a theme. Will this work? Yes. However, as with any theme upgrade using this app, you should always preview your store before publishing it to see if there are any issues or new features that need to be set up. For Out of the Sandbox themes: if you are using a version prior to Parallax 3.0+, Retina 4.0+, Mobilia 5.0+, Responsive 6.0+, or Turbo 2.0+ custom code will not be carried over and you will need to configure your homepage using Shopify Sections. For Pixel Union themes: if you are using a version prior to Atlantic 10.0+, Editions 8.0+, Empire 4.4+, Grid 4.4.3+, Handy 1.0+, Launch 6.0+, Pacific 4.0+, Reach 1.0+, Startup 7.0+, and Vogue 1.0+ custom code will not be carried over and you will need to configure your homepage using Shopify Sections. Can I use this app on non-Out of the Sandbox themes? The Theme Updater only supports Out of the Sandbox themes and Pixel Union themes. I'm updating from an old, pre-Sections theme to a version with Sections, will everything still transfer over? For Out of the Sandbox themes: if you are using a version prior to Parallax 3.0+, Retina 4.0+, Mobilia 5.0+, Responsive 6.0+, or Turbo 2.0+ you will need to reconfigure your homepage theme options. For Pixel Union themes: if you are using a version prior to Atlantic 10.0+, Editions 8.0+, Empire 4.4+, Grid 4.4.3+, Handy 1.0+, Launch 6.0+, Pacific 4.0+, Reach 1.0+, Startup 7.0+ you will need to reconfigure your homepage theme options. This is a one-time process that is required to switch to Shopify's updated theme editor. Using Shopify's updated Sections platform, the home page and internal pages can be easily configured using the robust set of built-in settings available in the theme editor. While configuring and ordering elements on the home page used to have some tricky steps, the setup process is now optimized to be setup quickly and easily. All of your product, collection and navigation configurations will remain from your current shop as you reconfigure the home page sections and templates settings. Why do other themes appear in the app dashboard? Select Shopify theme developers have partnered with Out of the Sandbox to integrate with our theme updater app. Because of this, you may see other themes, which are not developed or sold by Out of the Sandbox, in your app dashboard. You're always welcome to try out or purchase other themes, though please note that you will need to contact the appropriate theme developer for any support on updating or other issues. How can I use a new theme style that has been released?